Current Microsoft CEO Steve Ballmer will see weaker sales of Windows 8 and RT surface on his own salary. By the board's decision, for the fiscal year 2013 he earned smaller bonus than he did in previous years. The departing CEO received a salary in the amount of $697,500 in the past year, and to this amount was added another $550,000 of bonus which is 79% of the target amount. Despite record revenues of over 100 million for licensed copies of Windows 8, this Microsoft's department annually recorded an 18% drop in operating profit. 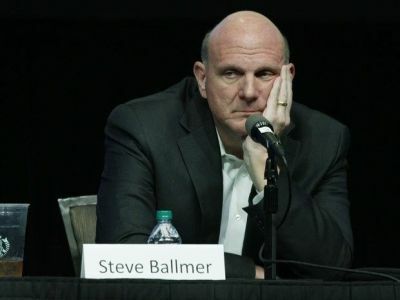 Additionally, Ballmer is criticized for write-off of 900 million dollars related to the Surface RT. For comparison, last year, Ballmer was paid 91% of the target bonus, or $620,000. Given that he owns 11.3 billion dollars in Microsoft stock, it's probably not disturbing for him. Another high-ranking Microsoft employees who have received the full amount of the bonus are COO Kevin Turner, CFO Amy Hood and chairman of the Office department Kurt Delbene. The head of Server and Tools Satya Nadella won 105% of the planned bonuses.